At the end of January some big news passed quietly on the Chromium blog. Mobile Chrome apps can now be wrapped up using Cordova to deploy native applications to iOS and Android. Google seems to be pouring money into Chrome like it’s the cold war so I felt this recent release deserved a mini-dive in. First off, the Chromium-Chrome-ChromiumOS-Chromiumiiumimmm project is pretty terribly named and not particularly self explanatory. A very brief description of my understanding is probably in order. The problem with Cordova was that the browser bit was fairly crippled, slow and buggy. This recent release is a replacement for that browser bit with mobile Chrome. The original Cordova APIs are still there. But now mixed in, or on top of, are the mobile Chrome APIs too. Payments, push notifications, Google Drive sync and even scheduled processing are ready to be used. 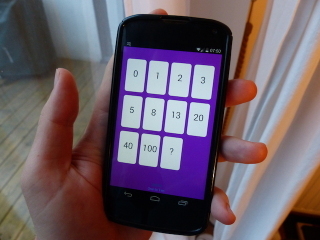 I had a crack at making a Planning Poker app with it, failing to use any of the new Chrome features in the process, and really enjoyed producing something inaccessible to me otherwise. The toolchain CLI is quite nice and it certainly seems fast and bug free. I went from pawing over the install notes to a working version in the play store in about 5 hours! on culture and business. I think we live in exciting times!